Darin Patterson has performed stand-up with Sue Funke on the same comedy show. You can see this from this week's episode photo which was taken from the same Dennis Has A Podcast flier. 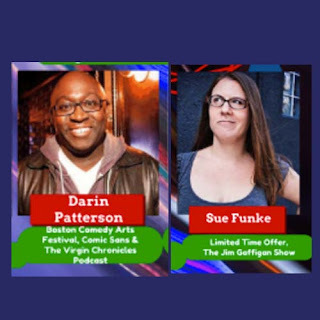 Podcast lovers may know Darin from his podcast 'The Virgin Chronicles' or from some of the stand-up shows he's on seen on his website. Darin came by podcast corner to chat about shows that stuck with him such as The World Series of Pop Culture, The Chapelle Show, Happy Endings, This Is Us, Breaking Bad and so much more. 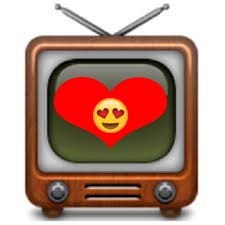 A TV lover with a pop culture award to back him up, this is an episode not to be missed, but definitely to be tweeted. Chat with us @darincredible or @iluvtvmorethanu on Twitter! Let people know how you feel about this podcast, review it on iTunes or share it with friends.